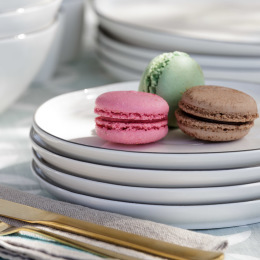 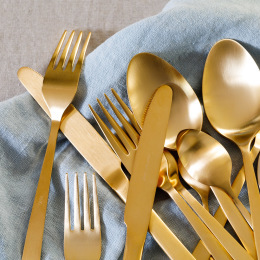 Declared a design classic by Elle Decor, the Abbesses collection brings a Parisian cafe style to your home. 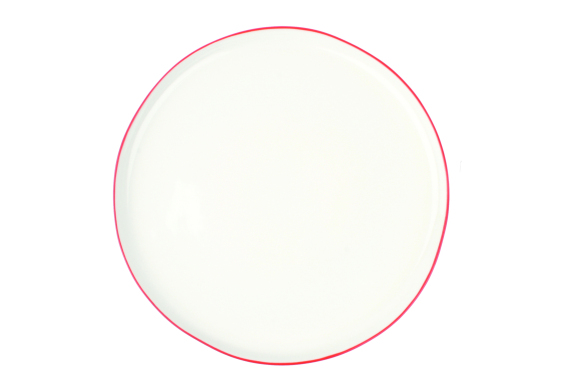 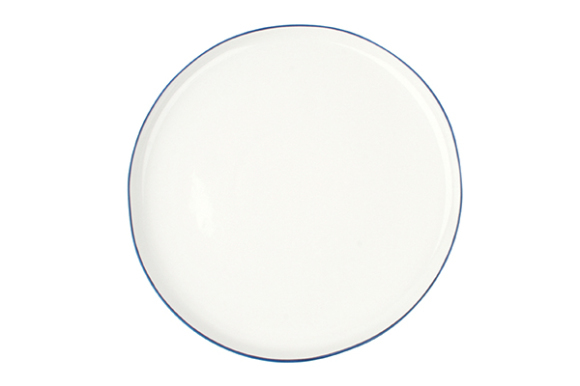 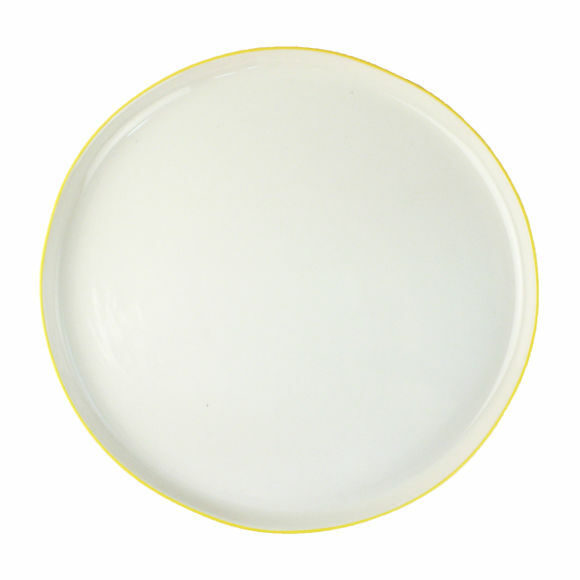 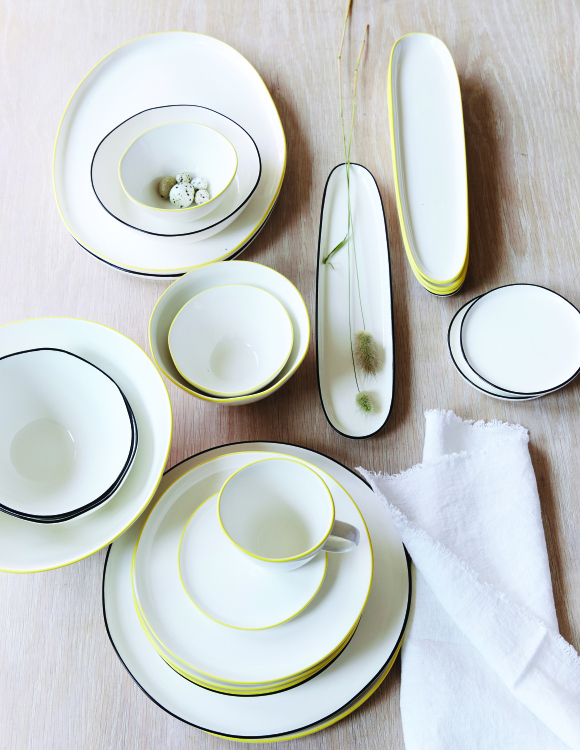 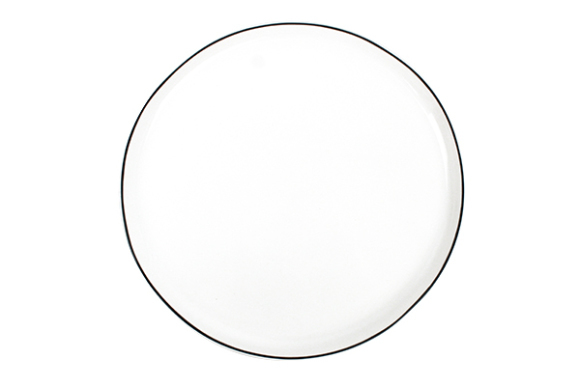 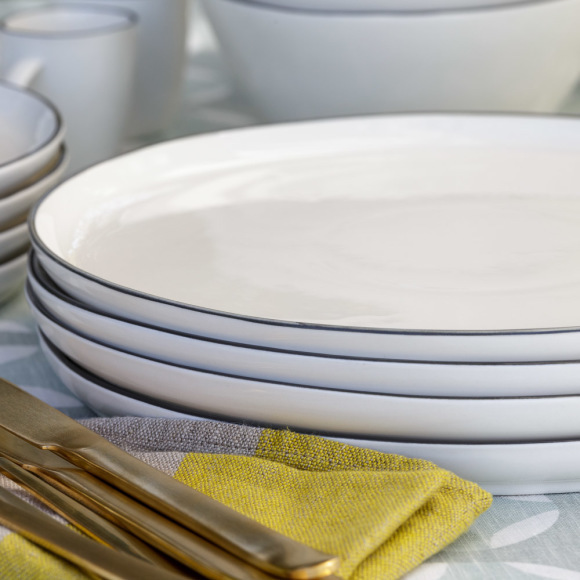 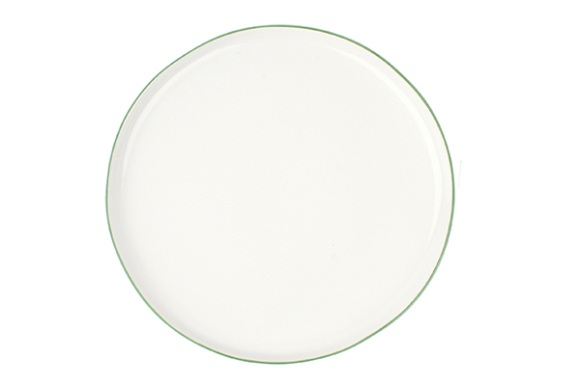 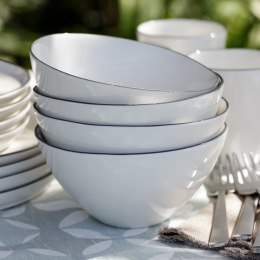 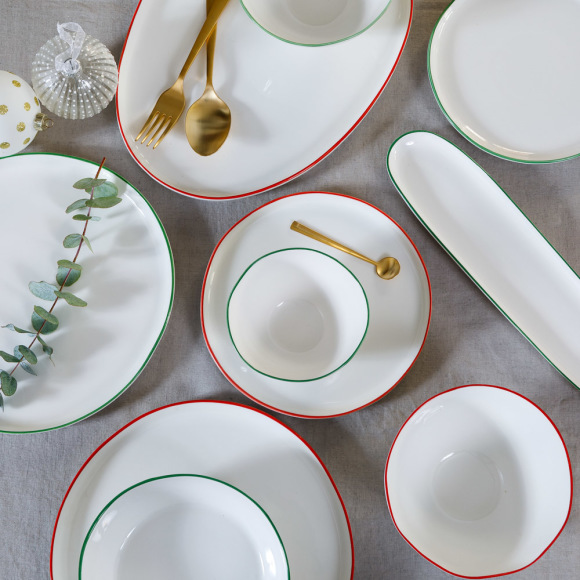 The white porcelain dinner plate is organic in shape with a single, hand-painted rim. 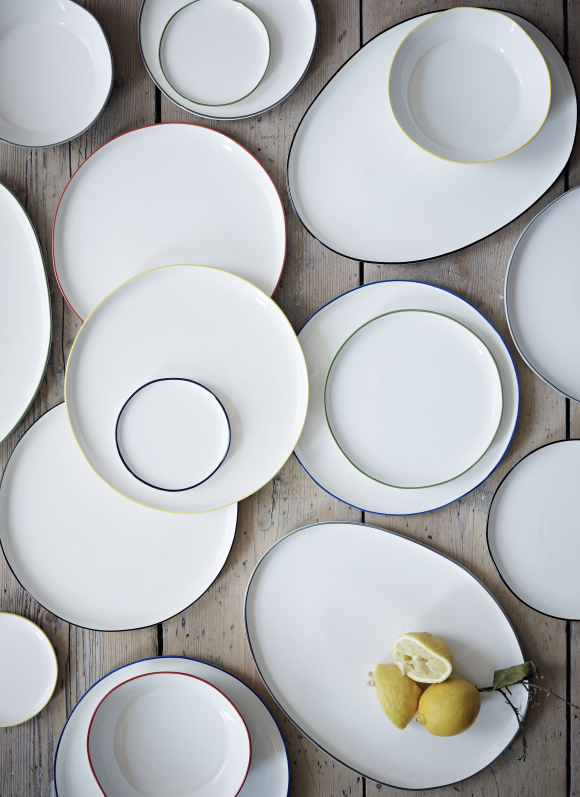 Just choose your favourite colour or have fun mix and matching!